I've just spent the entire weekend putting together what I would consider The Ultimate Organic Gardening & Self Sufficiency Tool Kit For YOU, but this offer is strictly limited to the first 20 readers that want to stand up and say Yes Please, This Is Friggen Awesome! PLEASE NOTE: All links below will open in a new window so you can check out each individual item to see exactly what you’ll receive, but be sure to order from this page you're on right now to get everything as a package and save $100. This component will set you up to become a master worm composter so you can increase the productivity of your garden as nature intended - using the power of composting worms. It includes the digital book “The Business & Biology Of Raising Composting Worms” (and full access to the private members area of “Worm Farming Secrets” – there’s just too much inside the members area to mention here, it’s the most comprehensive worm composting website online). 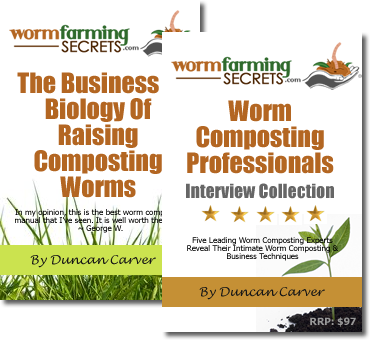 It also includes “The Worm Composting Professionals Interview Collection” where 5 of the world’s leading experts reveal their most intimate worm composting operations & business techniques. This also comes with an AMAZING bonus worth the entire cost of “The Ultimate Organic Gardening Bundle” itself – and that’s access to the largest wholesaler of live composting worms (and related products) in the United States. 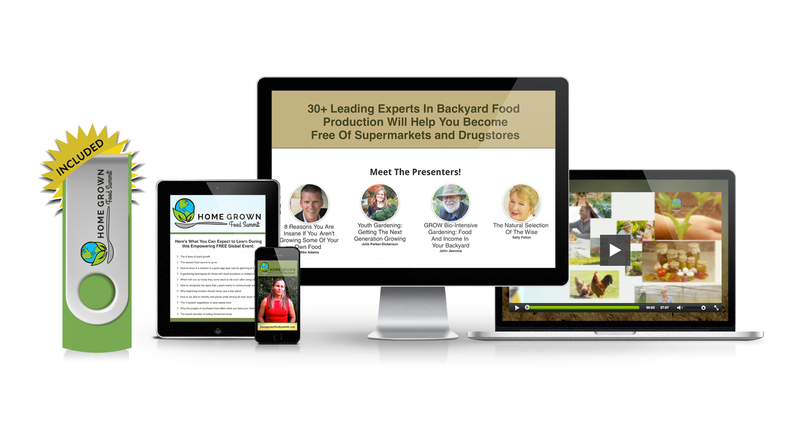 This component gives you complete access to the “2015 Home Grown Food Summit” where 32 of the world’s leading experts on backyard food production gave some of the most insightful & practical organic gardening & self-sufficiency presentations of the year. The package includes all videos, audios, and complete transcripts of every presentation made so you can watch, listen, or read on any of your devices. This will be delivered to you on a brand new 8 gig flash drive so you can plug it into your computer or laptop & watch these presentations anytime you like. This summit was amazing, check out exactly what it covered here. 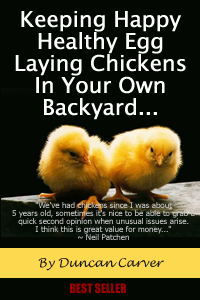 This is my bestselling guide to keeping chickens at home – “Keeping Happy, Healthy, Egg Laying Chickens In Your Own Backyard”. There’s nothing quite like having fresh completely organic eggs on tap whenever you need them. And whether you’re thinking about keeping chickens, or already are, it contains literally everything you need to know (or ever will need to know). It includes the book as a digital download, and full access to the private members area containing a whole bunch of practical how to information & resources that you can access 24/7. If you’re into chickens, this is a must have resource. You can get The ULTIMATE Organic Gardening & Self Sufficiency Bundle right now for a one time payment of just $147. NOTE: The last 5 copies have been reduced by an extra $50 and are now just $97. You'll find the new price reflected on the order form. Once payment has been made - I'll send you complete details on accessing the "Worm Farming Secrets" & "Chicken Keeping Secrets" private members areas where you can download all of the respective resources within 24 hours (usually much sooner).